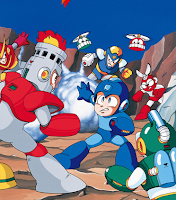 In about a month, Nintendo will soon unleash Mega Man: Dr. Wily's Revenge in Europe. According to a release schedule put out by the company, the Game Boy classic will hit the European eShop Virtual Console on September 15. Finally. Meanwhile, we've still no indication when North America will get the game. An ESRB rating was pegged a short while back, but other than that there's very little information surrounding a release date. Only a matter of time, I suppose. Ah, and speaking of ambiguous release dates, I'm sad to report Nintendo continues to leave Europe hanging in terms of Mega Man X and Mega Man 5 Virtual Console versions. There's been no news on that front, and the fact that both titles were left out of the above Q4 2011 schedule only makes the waiting worse. I'm not sure how definitive the release schedule is -- plans change all the time. 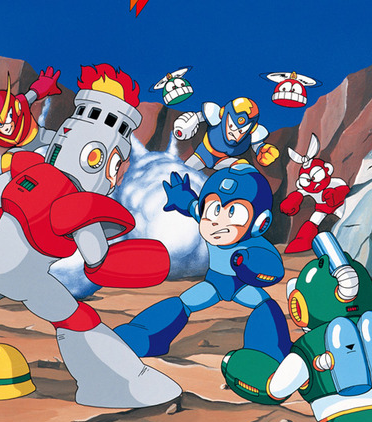 If it holds true, however, you can look forward to MMX/MM5 in 2012. I agree with Anonymous #1. These re-releases aren't going to keep Mega Man alive forever. It's a shame that they're taking this pathetic route. It's nice to see the GB games being re-releases though but that "Powered Up 2 pack" thing is a sad excuse. I still have all the gameboy megaman games, but I hoped they would've remade it. @ anon2: agreed. and whatever happened to the collection on GBA? it was supposed to be the games, in COLOR form! 1: video game company known for re-releasing games that have sold well, and sometimes adding more to them, with a new suffix added to the title. usualy, the new additions need to be fixed, so another new version is released, with new additions, which likely need fixing, resulting in a cycle that brings the company money, but usualy incites anger in gamer groups. I like how you're all complaining about Capcom porting games dirt cheap when all the other companies are doing it for the 3DS NOW. Had NO problems when they put the NES titles on the virtual console now did you all you whiny brats. firstly, shut the @#$@ up. it was fine getting the re-releases, so long as the series was continueing. now, that's in question. it's the fact that they won't take the risk of continueing the series, but the KNOW people will buy the re-releases, because they liked them when they were first out, and alot of people don't have them anymore. also, capcom could even use the fact that they know fans will buy almost anything mega man at this point just to support the series for the future. they're doing it for the sole purpose of getting money. and other companies? yeah, i guess i see what you mean. why complain about capcom doing it and not releasing future mega man games, when square has re-released chrono trigger for DS, VC, and soon, PS3, when the last we seen of the series was chrono cross, and nothing more, right? ...honestly, on this one, you have a valid point. although it doesn't mean we shouldn't be upset with capcom, it means we should be upset with square too. Since we're talking about Capcom and re-releases, I'm still upset they made a "Anniversary Collection" which seemed like a half-assed attempt since they outsourced to a lesser known company to do the ports. I have all 6 of the Rockman Complete Work games (The PlayStation import Rockman titles that are partially available on PSN right now) and the ports on the AC are missing so many things. PocketStation (which was never released here, thanks Sony and for lying about the "PocketStation 2") and its enhancements, "all" music for the GC version, no button config (seriously?!) and much more that I can't think of right now since it's been several years. Where's my GB GBA collection ahhhhhhhhhh !!!! actualy, the MMAC does indeed have button mapping. but only in the PS2 and xbox versions, along with the first episode of the Ruby Spears mega man in the PS2 version, and the first episode of NT warrior in the Xbox version. shame the GC version got such a shaft though. there's really no excuse for it. crappy button mapping with no change options? thanks cappy. @#$%^& you too. I like how we've taken to complaining about a game eight years old now. We get it you're mad at Capcom. Funny, it was confirmed this morning @ GoNintendo that Wily's Revenge WILL be released this week on Europe's eShop.